I am enjoying sharing new CTMH product creations with you. 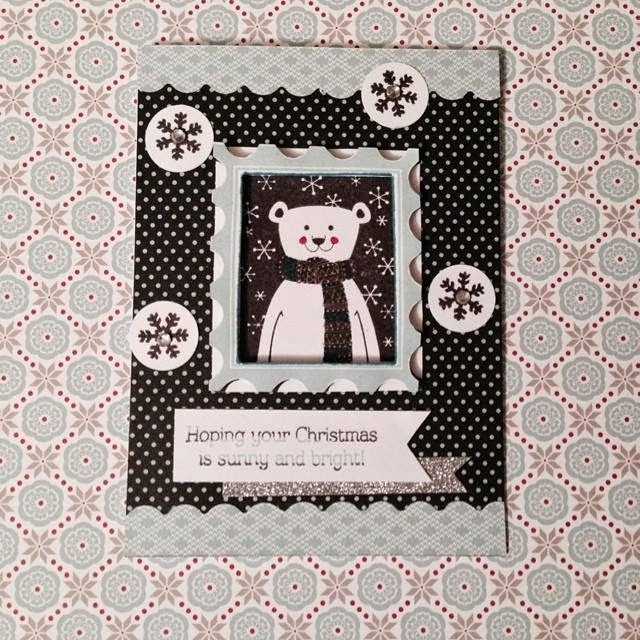 Today I am featuring two cards made using the new Snowhaven paper. New product will be available AUGUST 1st!! How cute is this paper?! I used the new Glacier ink to stamp the frame around this cute bear. The bear is from the October SOTM!! Fun sneak peak for you but you gotta wait until October :-) The sentiment is from the Make It Merry stamp set which is soooo cute!! You can see more of this stamp set in the below card. 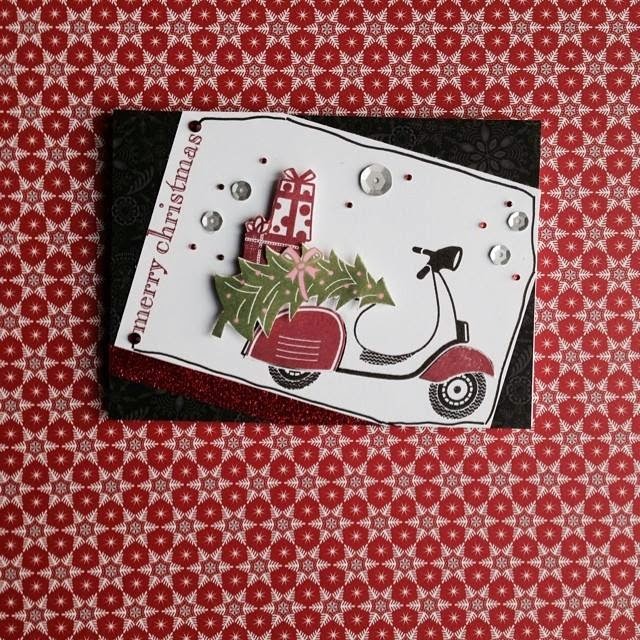 This card again uses the Make It Merry stamp set. The sentiment is from A Holiday stamp set. I did some free hand line drawing around the border. I had fun paper piecing the scooter. I stamped the scooter in black and ruby. I cut pieces out of ruby image out and adhered it in the appropriate places. The christmas tree and presents are popped up using 3-D foam tape to give it dimension. I also randomly placed some of the new silver sparkles. This stamp set is so cute I will be using it for my Christmas cards this year.